This page is dedicated with love to all lawyers among us, who’d like to know how things work on this website. I consider myself as an honest person – I do not have any shady intentions with your data (like email address), which I will never voluntarily give to any third sides. To cover the “involuntarily” part – I’m doing what I can to keep the security of this website on maximum and keep hackers, crackers, and frackers away. To sum up the wild language below – I’m asking you not to use my content for business purposes. Please do not copy my texts or images without letting me know. Regarding privacy – I do collect email addresses if you give it to me (= you’re interested in being notified about new posts or other news). Uncle Google also collects anonymized data in order to analyze traffic. You may opt-out by clicking on a banner that shows up at the bottom of the page. Occasionally, you may see an Ad, voucher or an affiliate link. If you purchase something using the links, I get a small commission which helps me keep things running. By accessing the website at https://dalibro.com, you are agreeing to be bound by these terms of service, all applicable laws, and regulations, and agree that you are responsible for compliance with any applicable local laws. If you do not agree with any of these terms, you are prohibited from using or accessing this site. The materials contained in this website are protected by applicable copyright and trademark law. This license shall automatically terminate if you violate any of these restrictions and may be terminated by dalibro at any time. Upon terminating your viewing of these materials or upon the termination of this license, you must destroy any downloaded materials in your possession whether in electronic or printed format. The materials on dalibro’s website are provided on an ‘as is’ basis. dalibro makes no warranties, expressed or implied, and hereby disclaims and negates all other warranties including, without limitation, implied warranties or conditions of merchantability, fitness for a particular purpose, or non-infringement of intellectual property or other violation of rights. 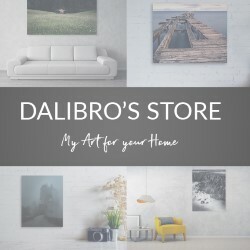 Further, dalibro does not warrant or make any representations concerning the accuracy, likely results, or reliability of the use of the materials on its website or otherwise relating to such materials or on any sites linked to this site. In no event shall dalibro or its suppliers be liable for any damages (including, without limitation, damages for loss of data or profit, or due to business interruption) arising out of the use or inability to use the materials on dalibro’s website, even if dalibro or a dalibro authorized representative has been notified orally or in writing of the possibility of such damage. Because some jurisdictions do not allow limitations on implied warranties, or limitations of liability for consequential or incidental damages, these limitations may not apply to you. The materials appearing on dalibro website could include technical, typographical, or photographic errors. dalibro does not warrant that any of the materials on its website are accurate, complete or current. 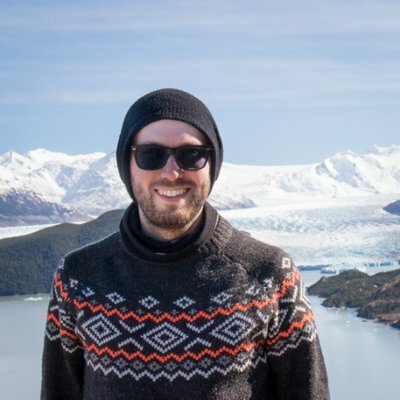 dalibro may make changes to the materials contained on its website at any time without notice. However dalibro does not make any commitment to update the materials. Dalibro has not reviewed all of the sites linked to its website and is not responsible for the contents of any such linked site. The inclusion of any link does not imply endorsement by dalibro of the site. Use of any such linked website is at the user’s own risk. dalibro may revise these terms of service for its website at any time without notice. By using this website you are agreeing to be bound by the then current version of these terms of service. We use GDPR-compliant share buttons by Heateor. Read more on http://support.heateor.com/gdpr-and-our-plugins/ about them.